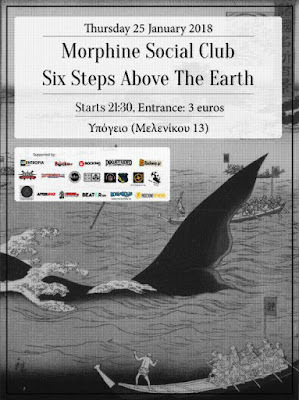 Morphine Social Club is a quartet founded in Thessaloniki in 2015, playing their monolithic rock'n'roll, ever since, with psychedelic filings and fuzzy noise. 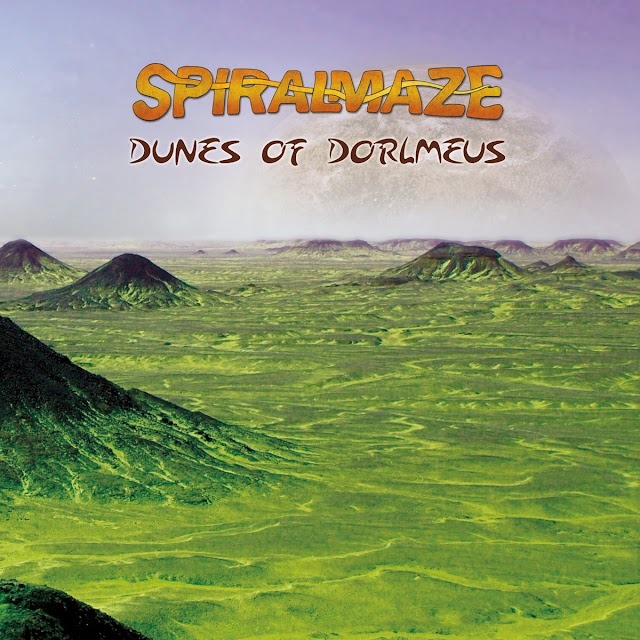 They have issued two EP's, "Radioactive" in 2015 and "Monolithic Gospel" in 2017. 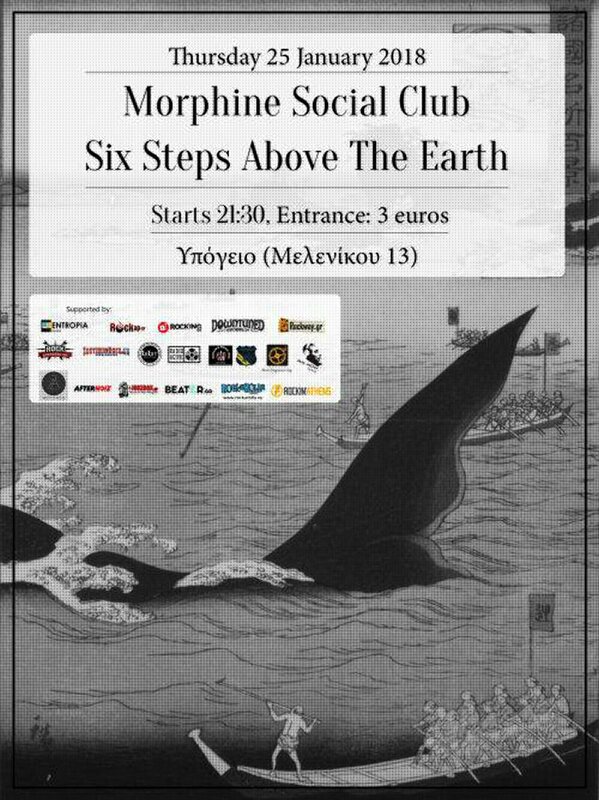 Six Steps Above The Earth is the creative vessel of two musicians that like to experiment with slow and heavy music. We are looking forward to this gig to make the trip to avant-garde musical explorations using our favorite tool, low frequencies and dark soundscapes! 'Six Steps above the Earth' ave already recorded and published 2 split cassettes with the bands 'The Dandelion Fields' and 'Vygotsky Circle' and they are now finishing their first full length that will be out soon!